Get HITMAN + More for FREE with PS Plus! 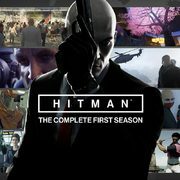 Sony Entertainment Network PlayStation Plus February 2019 Lineup: Get HITMAN: The Complete First Season, For Honor, Metal Gear Solid 4 + More for FREE Get HITMAN + More for FREE with PS Plus! Test your skills as a master assassin in February, because the complete first season of HITMAN is one of six games available for free with the PlayStation Plus free games lineup for February 2019! All six free PS Plus games can be added to your library through the PlayStation Store links below or through the PlayStation Store app on your console. We've listed each free game available to help you get started. These games are available for free starting February 5 at 11:00 AM EST until March 5 at 10:59 AM EST. All free games are accessible for as long as you have a PS Plus membership if you add them to your library before the monthly deadline. Never tried For Honor so quite happy with this one ! And PS+ cloud storage increasing from 10GB to 100GB! What the... What else gets stored here except for profile/save data? Is there a way to leverage this for actual file storage? Asking for a friend. fujiapplelover wrote: ↑ And PS+ cloud storage increasing from 10GB to 100GB! They should allow us to directly upload game caps. Kinda tired of using YouTube and Facebook. I just want an easy way to share with psn friends. Not the world. I don't even have 2gb in my storage. No mention of how many games we will get on March. Just that we will lose PS3 and Vita selection (Still get to keep the older stuff as long as we are subscribed). They must be planning something else for PS+ if they're increasing the storage space that much. Actually interested in both PS4 games for once. Shocking. Man this is freaking amazing! Wow! 2 high profile games, a bunch of decent small ones, and 10x the space for PS+ uploads! The only information I've found is the storage can only be used for profile/save data. I haven't seen the ability to upload other kind of files unfortunately. When they first posted about removing the Vita and PS3 games, they said they weren't adding more PS4 games to compensate. Maybe that changed since than. For Honor was an XBone GWG before... unfortunately I personally didn't find it as fun as it looked. I'm sure some people will like it though. yeah that game totally sucked. repetitive combat system and just flat out boring. i uninstalled it after beating the campaign mode which took like 4 or less hours if i recall correctly. Cool to see MGS4 in there; it's the only one I don't own. Wishful thinking that Sony will provide access to the entire PS3\Vista catalog for just the last day, all previous games since the start. Give everyone 5 selections from that catalog. That would be a great! Yeah, I could totally see Sony doing that. MGS4 for the PS3 as its last PS+ title... pretty big send off. Whoops, forgot today was update day. These games will go live for plus on Feb 5th 2019, during the weekly store update. Bad month for me, but can't really be mad. More people trying out Hitman is just... good. And For Honor is neat too and probably needs a shot in the arm. Will at least dip my toes back in to see the changes they've made.